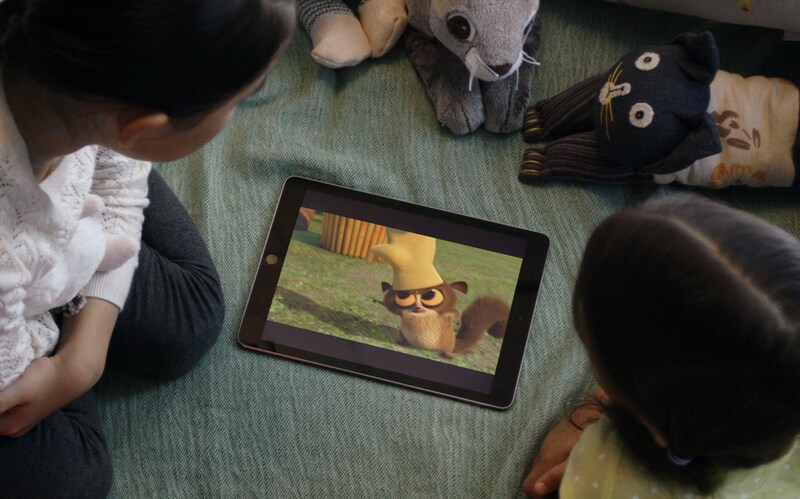 With which tablets can you watch Netflix in HD or HRD? Sadly, a lot of them don’t support it. However, some do support HD playback. Here is a list of them. Did you know that not all tablets and smartphones support Netflix in HD or HDR quality? In fact, on a lot of devices movies and TV shows are played back in standard definition only. While that might not be noticeable on a phone, it certainly is when watching with a tablet. Like lots of people, I too like to watch Netflix and I am testing it on every tablet I review. But to be honest, I didn’t know myself that a lot of devices can’t playback movies in HD or higher. Maybe I didn’t notice it because I like to watch old Star Trek episodes. Anyways, I noticed this issue after reviewing the Huawei MediaPad M5 series which did not support Netflix in HD at the beginning. While that was fixed with a software update later, that is not the case for most. So, which tablets can play Netflix movies and TV shows in HD? Luckily, the streaming service published a list of devices that support that. In this article, you’ll find all the information I could find about this issue. If you own an iPad, you don’t have to worry about it at all. In fact, all recent iPads with so-called “Retina Displays” support a playback quality of 1080p. So, all iPads that have been released in the last couple of years support HD Netflix. Just the first two iPads and the first iPad Mini generation had lower-resolution screens. Well, there are exceptions though. If your iPad is running iOS 6.0 or even older, you can watch in 480p only. Starting at iOS 7.0, 720p playback is supported. And, as I said, devices with “Retina Displays” support 1080p which means full HD. If you want to watch Netflix with a Windows tablet, you don’t have to worry at all. In fact, using the official Windows 10 Netflix app, you can watch movies and TV shows in up to 4K resolution. Well, at least if your screen is high-resolution and powerful enough. Using Chrome and Firefox, you can watch in up to 720p HD. However, you might want to switch to Microsoft Edge for Netflix because that one supports up to 4K. It could be that this list is not complete. For example, Netflix does list some Amazon Fire tablets at some placed and not at other. However, at the same time, they say that all Fire HD tablets starting with the 2014 lineup do support HD playback. So… there might be others. You can check very easily yourself if a tablet or smartphone supports HD playback or not. For that, you simply search for the “Test Pattern” video inside Netflix. Once you start, you get a lot of data about it. I’ve gotten the best results with the Test Pattern 7. With some tablets, you can watch Netflix not only in HD but also in HDR. However, the list is very short. As of now, the Samsung Galaxy Tab S3 and Galaxy Tab S4 are the only ones capable of it. *This article might contain sponsored links. We might get a small commission on your purchase at no extra charge to you. Fortnite for iPad: Can You Play With Keyboard, Mouse Or Controller? Actually that’s not correct. The tab S4 does not support Netflix in FullHd and also doesn’t support HDR in YouTube or Netflix. You can easily verify with the existing threads Threads on xda about the lack of support. The Widevine L1 + CERTIFIED BY NETFLIX only support up to 720P MAX resolution. It is a sad conclusion. Do you have any article to back that up? For all of my reviews I’m starting the “Test Pattern 7” build into Netflix. And for some tablets like the Tab S4, MediaPad M5, and others it shows a resolution of 1920 x 1080. With other tablets like the Galaxy Tab A 10.5, 10.1, Lenovo Tab P10 it shows less than 720p. Microsoft Surface Pro 6 Review: The Only Real iPad Pro Alternative?